Wow. What a week it’s been. We’re glad to be back in the studio now, catching up after this season’s Quilt Market in Pittsburgh. A big thank you to everyone who stopped by our booth. We really enjoyed speaking with staffers from so many of the shops that carry our patterns and meeting many new friends as well. But some usual attendees were missed. Anna Maria‘s baby just arrived (congratulations, Anna Maria and family! ), so she didn’t travel this season. 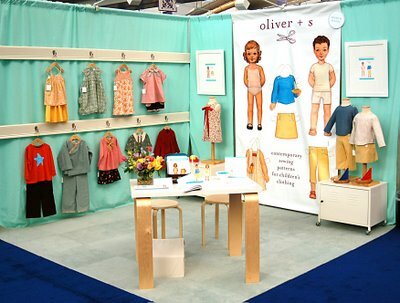 And Brooke, who has given Oliver + S its unique look (including our minimalist trade show booth), wasn’t able to attend either. 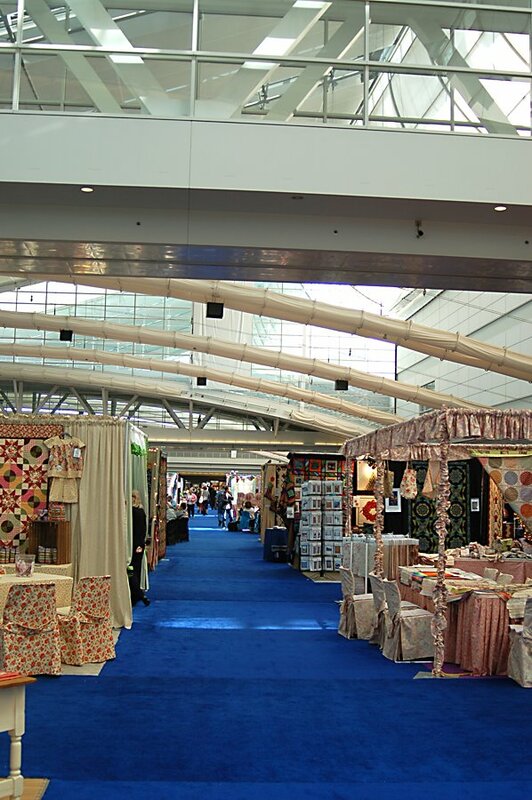 We’re sorry that many regulars didn’t get to attend Market this season because we think they really would have liked the Pittsburgh convention center. It is a great venue. The natural light and high ceilings made everyone’s offerings look especially appealing (our booth was well-lit even before we turned on the lights!). I hope we can return again soon. 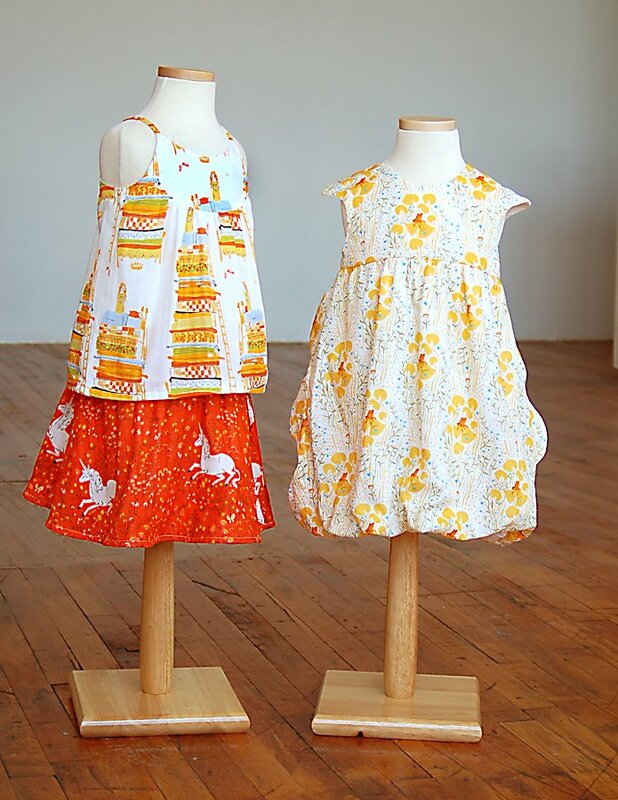 In addition to our usual booth, this time we did a special little event with fabric designer Heather Ross, who showed up with two Oliver + s samples made in her new collection from Kokka. The double gauze works beautifully with the Swingset and the Bubble Dress. Aren’t they sweet? As usual, there were a few real stand-outs from the show. On the fabric front, new Windham designer Bari J debuted a unique collection with a fresh look. 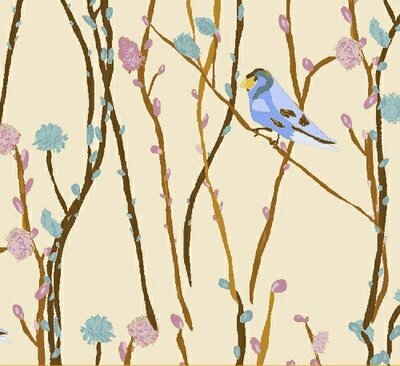 So nice to see a new perspective in printed fabrics. Valori Wells also showed a lovely new collection for Free Spirit, called Del Hi. I’m especially enamored with the High Desert colorways–the rich, neutral-based colors are refreshing and sophisticated. 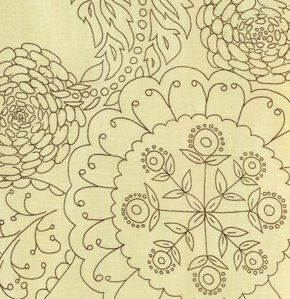 My personal favorite in the group is the Paisley print in Earth color, shown above. It’s a oversized print that would look great with a bright solid as an accent. Maybe orange, yellow, or turquoise? Windham Fabrics is releasing a collection of quilt kits based on the quilts from Gee’s Bend. The lines have been straightened out a bit, so you aren’t getting the same curved, organic feel that make the original quilts so appealing. But the colors and composition are still very appealing and attractive. 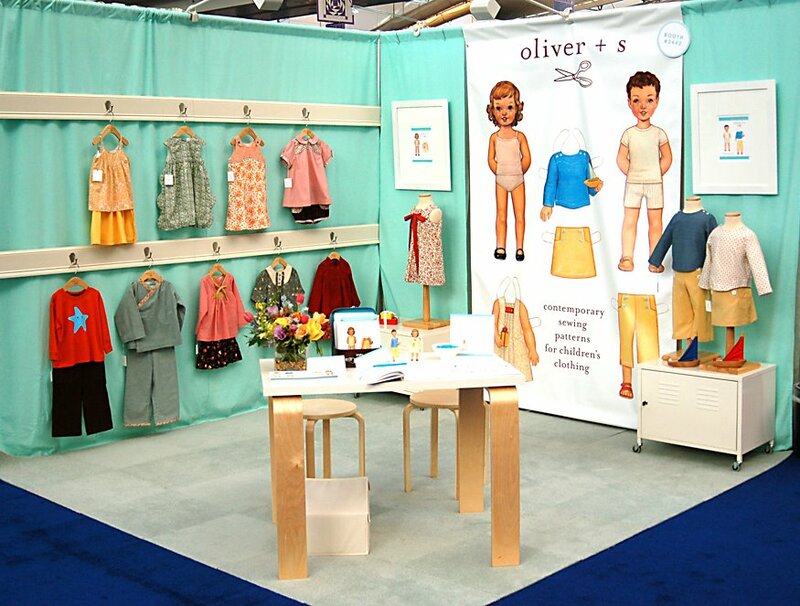 I’m sure there was more great material debuted at Market, but I spent most of the time in our booth talking with our customers about Oliver + S. One of the topics we spent a lot of time discussing was appropriate fabric selection to highlight the design features of our garments. Stay tuned for more information on that topic. It’s so nice to see a shot of the booth with good light (sadly so rare at convention centers!). I missed being there with you guys.. but the booth looks great! Your booth looks great. It’s nice to see something simple in what must have been a sea of color, print and pattern. I love that new Del Hi fabric and just bought some for myself. The first patterned fabric I’ve seen in a while that I would consider wearing. I’m thinking of a skirt. What a lovely convention center! That shot of the walkway made my heart skip a beat, so heavenly!!! I’m glad you’re back, too! If you have a web-tracker, you’ve probably known I’ve been checking back on an hourly…AHEM – I mean daily basis to see the news from the Show. 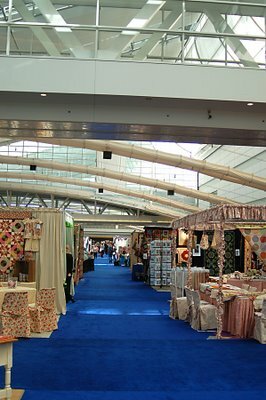 That facility looks spectacular – perfect for fabric and color ambiance!!! Wow it looks like a wonderful convention centre! I love your space. So neat and chic. Thanks for sharing the fun…your set up was great. I am just so happy I found your blog. Love the patterns and am looking forward to postings on the fabric selection guidelines.My granddaughter is 14 months..oerfect age to start an handmade wardrobe.